Have questions? Discuss this Flash / AS3 tutorial with others on the forums. Almost everyone these days has a webcam attached to your computer. It is so common that sites, for example, like Facebook integrate with your webcam for allowing you to set your profile picture. There is no reason you shouldn't partake in all of this webcam action yourself. In this introductory tutorial, I will explain how you build a small application that connects to a webcam and displays the resulting video to your screen. 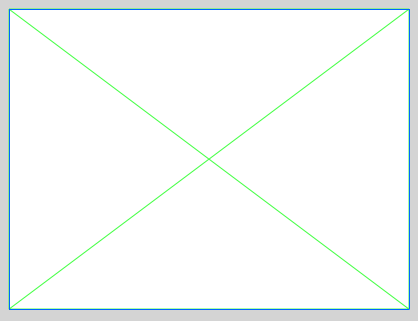 Once you have created your project, you will see a blank stage where all of the magic will take place. Let's look at these two steps in greater detail. You are probably going, "What is a Video symbol?" 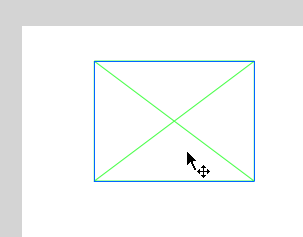 Even long time Flash users probably have no idea of what this is, but it is basically a symbol similar to a MovieClip, Graphic, or Button that you can add to your stage. One of those things is the ability to add a Video symbol! Go ahead and click the New Video item, and once you have done that, you will see the Video Properties dialog appear. 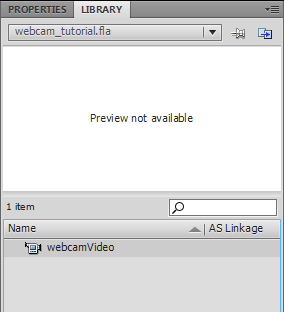 When you dropped your Video object, you will see a box with an X through it, and this box is now an instance of your webcamVideo object. There are two changes we need to make. Once you have done this, you are done fiddling with your webcamVideo object. The last step before you have a working example is adding your code. We are going to use a Document Class that associates your stage with a particular class. 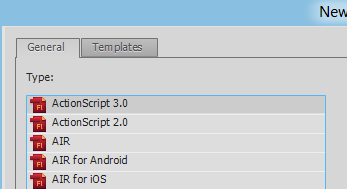 If you are not familiar with this, please take a few moments and read the Specifying a Document Class tutorial first. 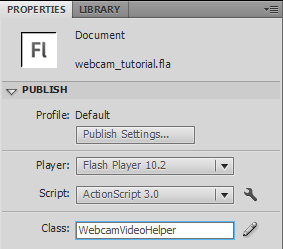 Go ahead and generate the new class file and save it is WebcamVideoHelper.as in the same directory as your FLA file. 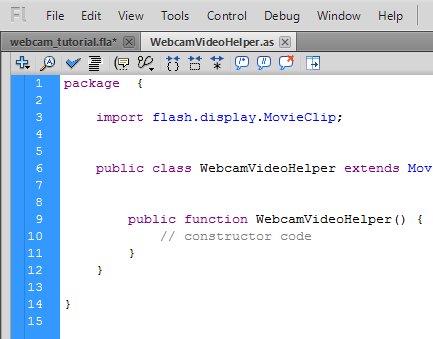 What you are going to do is add some code to the WebcamVideoHelper constructor function. As a part of doing that, you will declare some import statements outside of that function as custom would dictate. 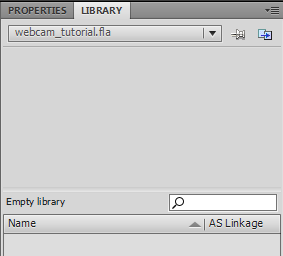 If you make the above additions, save your code file, and preview the animation by pressing Ctrl + Enter, you will see your webcam video showing up in your Flash application. Wohooo! 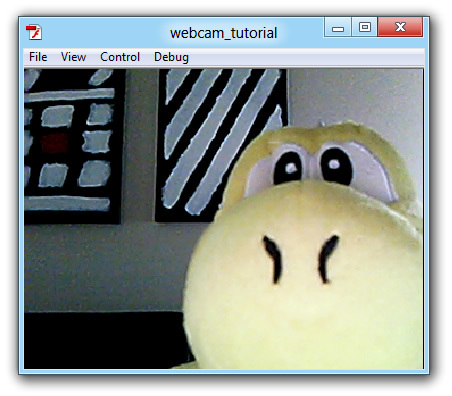 You now have a working application that utilizes your webcam! Now that you have a working application, let's take a look at why it works the way it does. This line initializes our Camera object by calling the getCamera() function. One you have your Camera object, it is time to specify the parameters of the video being recorded. 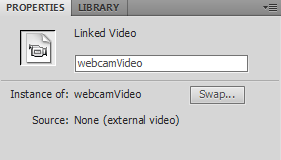 By default, your webcam will have some recommended values for width, height, and frame rate. If your webcam does not specify that information or you wish to override it for your own purposes, you can do so by passing in false as the argument. In our example, we set the capture width and height to be 400 and 300 respectively, and that matches the size of our webcamVideo object in our stage. You should adjust it as you see fit. The frame rate is set to 30, and I pass in false for our favorArea because I want to override the default values with my own. Our video object, lovingly referred to with an instance of webcamVideo, contains the attachCamera method that takes our Camera object as its argument. 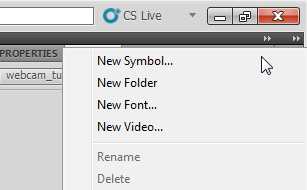 In case you forgot, the webcamVideo object is what you added to your stage in Flash a short while earlier! 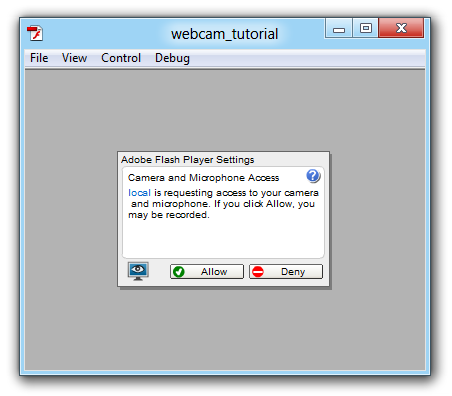 I hope this tutorial helped give you an overview on using the webcam with Flash. There is a lot more you can do, and this tutorial just scratched the surface of what is possible. If you have any questions or comments, please don’t hesitate to post them on the Forums.